Trouble falling asleep? 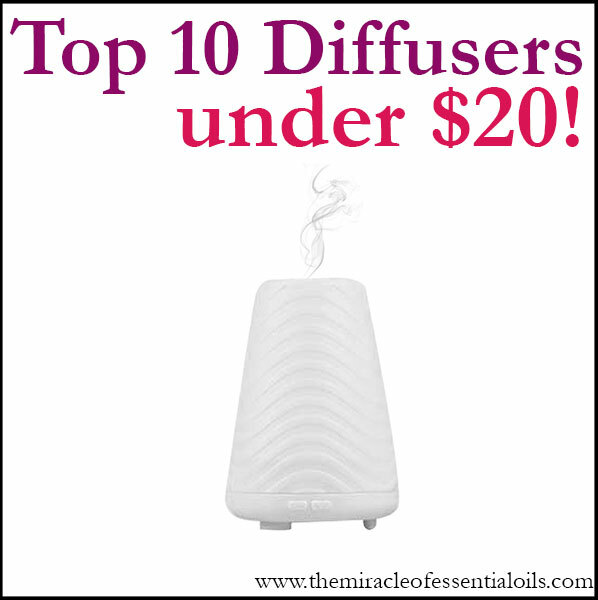 Get a whiff of calming lavender and fall asleep like a baby! The fresh floral scent of lavender isn’t just a delight for our olfactory senses – it has also been shown to be a miracle-cure for restless nights and sleep disorders, which affect almost 20 million people in the US, according to the National Institute of Neurological Disorders and Stroke. 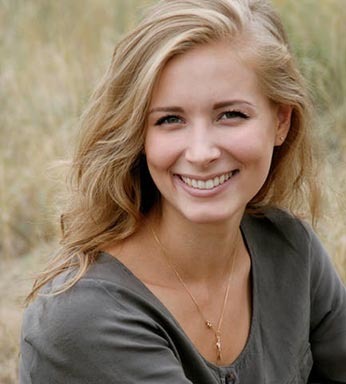 According to a study (1) carried out on 31 healthy young men and women, lavender increased the percentage of deep or slow-wave sleep and all individuals tested reported feeling more energetic and awake in the morning after being exposed to the scent of lavender before sleep, confirming the recuperative SWS increase. The same study (1) also showed that the scent of lavender increased the amount of time to awaken after first falling asleep in women, making it a good option for those who fall asleep after much restlessness only to be awakened by any slight disturbance. Research (2) has shown that sleep-deprived individuals who finally fall asleep enter into REM sleep faster than those who aren’t sleep-deprived, causing restlessness in sleep as well as breathing problems and snoring. As its name suggests, REM sleep is a sleep phase characterized by rapid and random eye movement. During REM sleep, most of the muscles in the body become paralyzed and the activity of the brain’s neurons heightens, mimicking their activity during wakefulness. 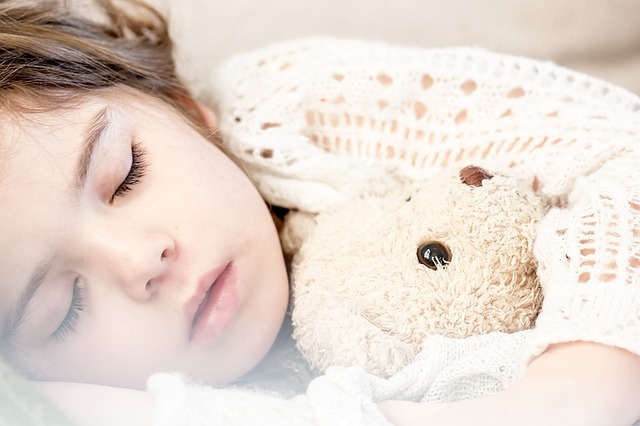 For many individuals (including children), this is the stage where sleep paralysis, snoring and REM behavior disorder occur, interrupting a good sleep pattern. For individuals with REM behavior disorder, dangerous activities like kicking, screaming and jumping out of bed while still in the sleep-state are common occurrences. 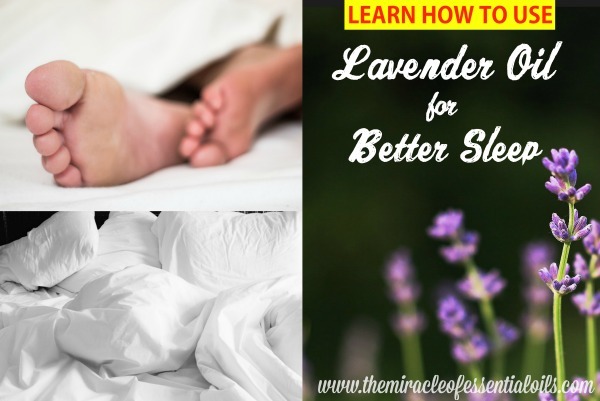 The scent of lavender slowly lulls you into a peaceful and restful sleep, without any tosses and turns and abrupt awakenings, therefore offering better quality of sleep. 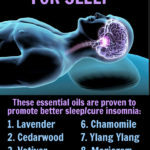 One British study, presented in 2008 at the European Sleep Research Society in Glasgow proved this when it tested the effect of lavender oil sprinkled on the bedclothes of 12 women, aged 50 and above, who suffered from insomnia. 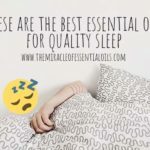 The women reported that they got sleep more easily and felt their quality of sleep was much better compared to having almond oil sprinkled, which was the placebo. When you’re depressed, you’ll find it hard to fall asleep. And when you’re finding it hard to sleep, you’ll get depressed. It’s like a never-ending cycle of misery. 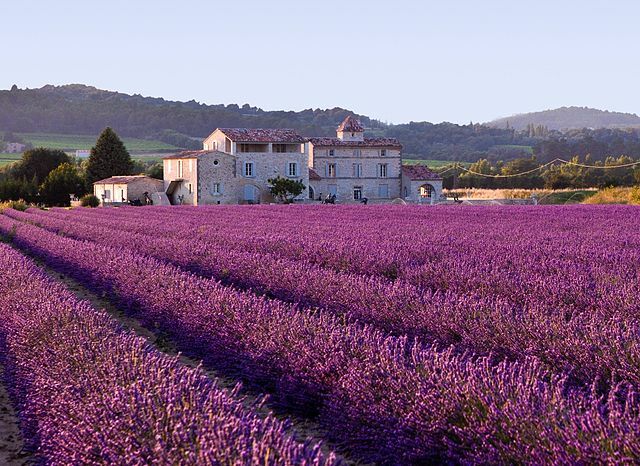 Fortunately, lavender essential oil has powerful anti-depressant properties that also quell anxiety and unease. (3) It can be diffused, used in a bath or simply sniffed straight from the bottle to benefit from its aroma therapeutic qualities. Lavender can be used in the form of fresh flowers, dried flowers, tea (by steeping 1 tsp of dried lavender in 1 cup of boiling water) and essential oil to help with sleep problems. 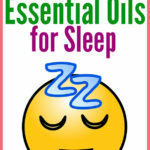 In this article, we shall focus on how to use the essential oil of lavender for better sleep. 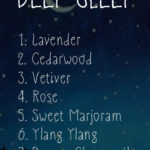 » Sweet Dreams Diffuser Recipe. Add 3 drops of lavender essential oil and 3 drops of cedarwood essential oil to your cold-air diffuser a few minutes before sleeping. This can be used for pregnant & lactating women as well as babies. » Instant ZZz’s Pillow Mist. 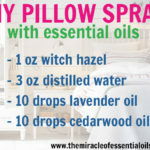 Into a clean fine mist spray bottle, add ½ cup of distilled water, ½ tsp of witch hazel and 5 drops of lavender essential oil. Shake well and lightly mist on pillows before crawling into bed. » Relaxation Bath Blend. Combine 1 tbsp coconut oil and 10 drops of lavender essential oil. Add it to a warm bath. You can also add ½ cup of whole milk to nourish your skin! Stir well with your hand and have a long relaxing soak. » Lavender Scented Bath Salts. In a large bowl, mix together 2 cups of Epsom salts, ½ cup of baking soda, 25 drops of lavender essential oil and a tsp of jojoba oil (optional). Transfer it to an empty mason jar. Use a handful in a warm bath. » Soothing Massage Oil. Blend together ¼ cup of jojoba oil and 12 drops of lavender essential oil. Store it in a clean glass dropper bottle. To use, place a few drops on your palms, rub them together and massage the shoulders and/or feet before bed. » Nighty-Night Sleep Cream. In an electric stand mixer, beat ½ cup of coconut oil until it’s light and fluffy. Now add 15 drops of lavender essential oil and 5 drops of roman chamomile essential oil. Mix it together and scoop it into a clean jar. Rub a little of the mixture on the soles of your feet before bed time. You can put on a pair of comfortable socks to protect your sheets from staining. » Fresh Floral Scented Sheets. Did you know that people are more excited to go to bed and sleep better when the bed sheets smell fresh and nice? Add about 20 drops of lavender essential oil to your washing machine when washing your bed sheets and enjoy a peaceful night. Lavender oil is toxic if ingested so please do not take it orally and keep it away from the reach of children and pets. If you are pregnant or lactating, please be careful when using lavender oil. 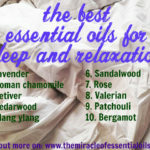 For more details, please refer to this informative post on the blog, Is it Safe to Use Essential Oils While Pregnant? (2) “Identification of the Transmitter and Receptor Mechanisms Responsible for REM Sleep Paralysis” Patricia L. Brooks and John H. Peever. “” The Journal of Neuroscience, doi: 10.1523/JNEUROSCI.0482-12.2012, 18 July 2012. Accessed December 5th 2013.